That’s their story, anyway. And it’s a good one, too, no denying that. A politician cannot buy the kind of hagiography Philpott has enjoyed since she quit Justin Trudeau’s cabinet in solidarity with Wilson-Raybould, who is herself now portrayed as single-handedly protecting the justice system’s integrity from attacks by crude ward heelers in the PMO. A fellow political columnist suggested last week that Philpott should resign as a Liberal because she is so immensely competent, so strong, and so principled that her fellow party members simply aren’t worthy of being in caucus with her. In any case, Philpott and Wilson-Raybould are politicians who are being treated as though they aren’t politicians, which is every politician’s lustiest dream. Certainly, the two of them have co-ordinated a most politician-like attack on their party leader. I’ve been in this dodge 43 years now, and I have never seen such exquisite destruction and perfectly timed execution. And deflection. I assume there is an end game here, and I assume we will see it sooner or later, and I have my own notions about what it is, having once watched Brian Mulroney publicly pretend loyalty to Joe Clark while his operatives worked to bring down Clark’s shaky Tory leadership, at one point distributing ABC (Anybody But Clark) buttons, which were to be worn inside the jacket lapel, invisible, but available to be flashed to those in the know. In 1983, Mulroney became leader. Or having watched, from the media perch above the Commons, Liberal MPs working as operatives for the then-unelected Jean Chrétien in the late ’80s, moving from desk to desk, working other members of caucus, as John Turner, the leader they were betraying, sat in his chair a few rows ahead, seemingly oblivious to what was going on just behind him. Chrétien became party leader in 1990. Or even, that same year, having watched an angry Lucien Bouchard, convinced Quebec had once again been humiliated by the perfidious Anglos, storm out of Brian Mulroney’s government, sputtering that a leader’s word must be “as straight as the sword of the king,” as he walked away. Instead of treating the Philpott/Wilson-Raybould moves as a power play, which is pretty clearly what they are, reporters have been swept along in the blast waves the duo created with their resignations and declarations. And please, let’s stipulate that they are indeed a duo, not two ingenues who never imagined their principled actions would cause this sort of uproar. Just last week, Philpott reluctantly and with a heavy heart granted Maclean’s an exclusive interview, in which she said there is a lot more still to come in this scandal, despite the Trudeau PMO’s attempts to suppress it. She couldn’t, of course, say what is coming, because cabinet privilege prevents her from talking about a Jan. 6 discussion with the prime minister, just that the discussion was far more significant than previously reported, and that there is a lot more to the story. If the Maclean’s interview was intended as a bellows for an already superheated story, it worked. For weeks, reporters in Ottawa have been diving into the weeds, competing for the most incremental scrap. 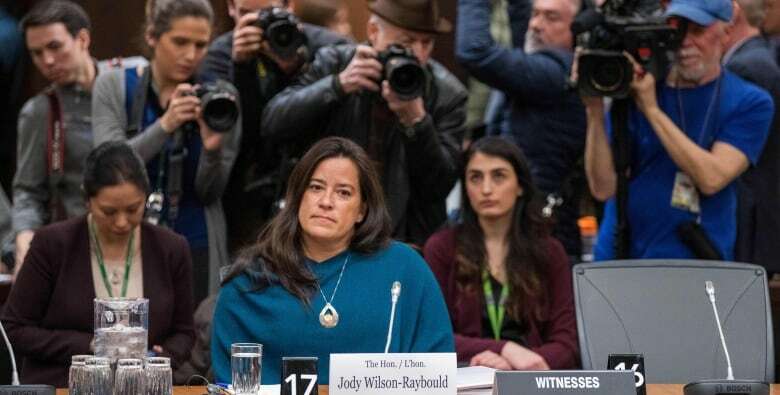 Other journalists have observed that the order-in-council Trudeau created to allow Wilson-Raybould and other cabinet confidants to talk about her time as attorney general would apply to Philpott’s Jan. 6 discussion, because Wilson-Raybould was still attorney general at that time. And Trudeau himself seems to have clearly said Philpott and Wilson-Raybould are free to add whatever they wish to the public record concerning Wilson-Raybould’s time as attorney general and her cabinet demotion in January. He’s spoken about it publicly, and Gerald Butts, Trudeau’s former principal secretary, testified in detail about it before the Commons justice committee. Both ex-ministers, though, say they nonetheless remain constrained by honour and principle. They are not free to reveal misbehaviour by Trudeau and his aides, only to say it exists and tease future revelations. Wilson-Raybould followed up Philpott’s interview by declaring she has more facts and evidence for the committee, and will be providing some of it in writing. So, let’s strop up Occam’s razor and apply its austere logic to all this. 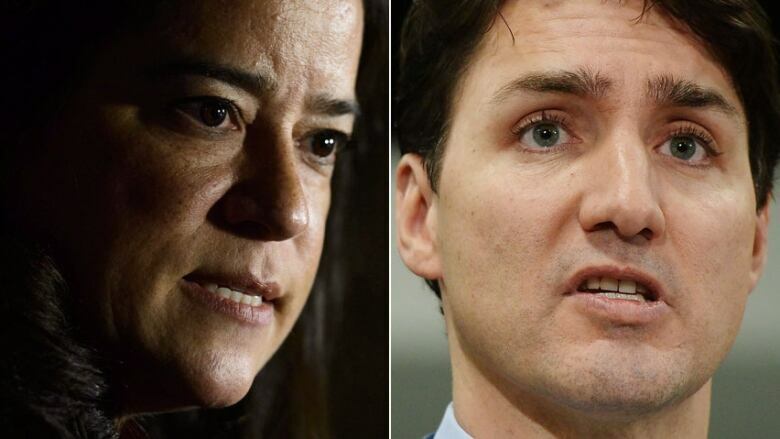 Might it simply be that Philpott and Wilson-Raybould are being coy because they want to inflict maximum damage on Trudeau from within his own caucus, which they know is the most effective place to do it? Might they intend to push for a leadership review after this fall’s election, or, even better, before it? Trudeau has haplessly insisted that Philpott’s and Wilson-Raybould’s torpedoes are just proof that the Liberals tolerate a diversity of views in their ranks. An old acquaintance who worked in Liberal backrooms a generation ago says he doesn’t believe Philpott or Wilson-Raybould are ambitious. This whole thing, he thinks, is a “cascade of dominoes” resulting from principled acts, the purity of which gives the story such sting. There may be no end game, he said, simultaneously conceding that if there isn’t, it’s a first. I found Sheila Copps’s old-school advice to Trudeau more realistic: They’re dangerous. Get rid of them. At the very least, Wilson-Raybould and Philpott are now objective allies of the Opposition, and any sensible leader would treat them as such. Jean Chrétien absolutely would. Andrew Scheer too, I’d bet.